Jose Mourinho has revealed that his star summer signing Zlatan Ibrahimovic will extend his stay at Manchester United for one more season. The Portuguese boss spoke to the media in his press conference on Wednesday, ahead of United’s Europa League clash against Feyenoord. 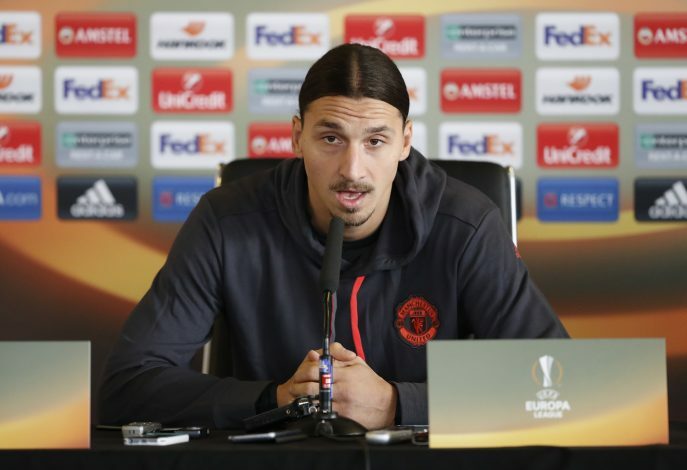 “The Zlatan situation is simple – he has a one-year deal plus a one-year option,” Jose stated. The star striker himself was also present at the press conference, and he displayed his massive self-confidence yet again during the interview, to answer a bizarre question from a journalist. The former Sweden captain also talked about United’s form in recent games, and how the Red Devils need to overcome their poor luck and start trying harder. “In (last) couple of games we have been dominating totally, and we didn’t get the result we deserve. We have been unlucky. In the last game, same thing. But that’s the Premier League.